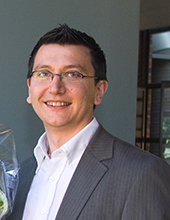 Prof. Demazière is leading the DREAM task force at Chalmers (Deterministic REactor Modelling). DREAM is a cross-disciplinary group having expertise in neutron transport, fluid dynamics, heat transfer, and numerical methods. The aim of the group is to develop beyond state-of-the-art techniques for modelling nuclear reactors, thus contributing to improved simulations tools and enhanced safety. Prof. Demazière is lecturing in courses on the physics and modelling of nuclear reactors. These courses deal with the multi-physic and multi-scale aspects of such systems. He is a member of the American Nuclear Society. There might be more projects where Christophe Demaziere participates, but you have to be logged in as a Chalmers employee to see them.